To an outsider or a newbie marketer, content marketing seems transparent and relatively easy. The goal is to create useful and interesting materials that an audience will want to read in order to nurture the relationship between your brand and your prospects so you can ultimately end up with more customers at the end of the day. While simple in theory, reality tends to be a little different. There is an art to an effective content strategy and to the untrained marketer, common mistakes are too easy to make. By helping you navigate some of the issues and potential pitfalls, we hope that you can avoid them and create an effective inbound content strategy. Below, we’ve listed a few marketing mistakes that you or your marketing team might be making if you’re running a content marketing campaign and just not seeing the results you want to see. We’ve also listed a few ways to avoid these common content marketing mistakes so you can get your goals realigned and your marketing back on track. Forgetting to segment your audience. You sell marijuana, and everyone likes marijuana right? Any cannabis content you make should work for everyone in your audience right? Not necessarily. There are some people that don’t smoke cannabis at all and only eat edibles, so receiving newsletters about which strains you just added to your shelves won’t make sense for them. Smokers and edible users have different preferences and needs and your content ought to be catered to those needs and preferences. Consider what specifically they find important, and write content for them. Talking about yourself too much. Content marketing works best when you use it to solve problems for your customers instead of promoting yourself. There’s an 80/20 rule to content marketing with dispensaries where 80% of your content should be designed to solve problems for your customers, and 20% can be self, store or product promoting. If you talk about yourselves too much, your readers will lose interest and you will lose valuable word of mouth evangelists. So with every piece of content, you’re producing be sure to ask yourself if you’re talking about them or if you’re talking about yourself. Not producing content with value for your readers. If your content isn’t valuable to your customers or prospects, it’s not likely that they will engage with you on a deeper level, and therefore your content marketing strategy is just a wasted effort. Before you even begin creating content you need to ask yourself what value your prospects can gain from it. I don’t mean “sure, it’s entertaining enough and easy to read, go ahead and publish it”. It isn’t a benefit if they can’t interact with it, share it, or learn from it. Half-assing your content. Uninteresting content that you yourself wouldn’t be interested in reading that you only put out once in a blue moon isn’t valuable to anyone and will yield no results for your content strategy. You’ve got to commit to a strong, stable content strategy, and you have to leave your impatience and your irresolution at the door if you want truly exceptional results. Make sure that you share strong, keyword rich content that you yourself would find useful. Forgetting the follow-up. A lot of the time, marketers forget the final crucial step after watching a customer or prospect of yours interacting with your content. Say for example that you run a 420 tour company, and your prospects are watching your tourism video, but they’re not calling to follow up on your offer themselves. If you’re not nudging them gently in the right direction, you could be missing out on business! To avoid this issue, make sure that you’re putting a form or a CTA at the bottom of every piece of your content, and make sure that you’re communicating with your customers whenever they complete an action on your website! 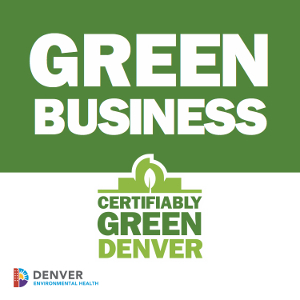 As some of the top cannabis and dispensary marketing professionals in the state of Colorado, we are all too familiar with the issues that can slow down marketers just getting into content marketing. Inbound marketing, marketing automation, and content marketing are all relatively new areas of expertise, so don’t feel bad if your strategy isn’t immediately gold. 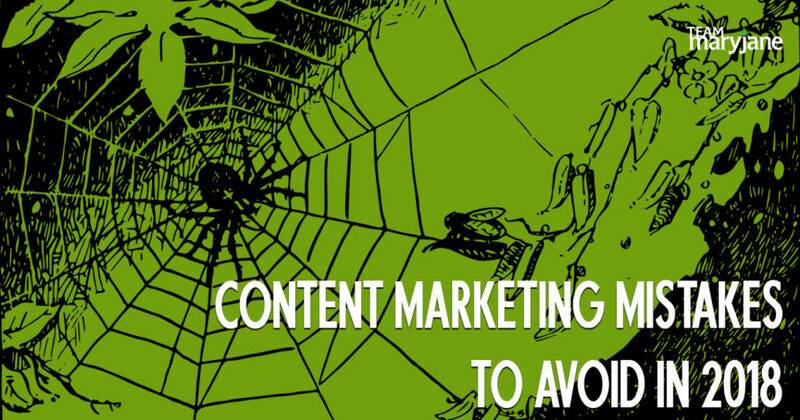 Avoid these 5 content marketing mistakes, and conquer the cannabis industry in your area. As always, if you need help, the marketing professionals at Team MaryJane are just a phone call away!